Because it offers a fundamental theory of corporate goals, this book is a valuable resource for business professionals and organization analysts. It will also be of interest to students and professionals in economics, public administration, and political science. 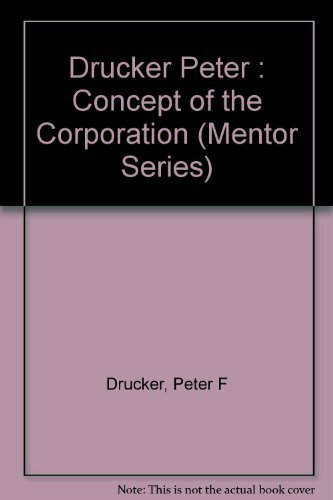 Professional and technical readers who admire Peter Drucker’s work will want to be certain this volume is in their personal library. 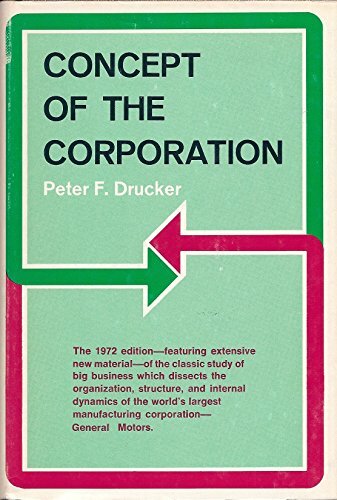 At a time when everything from the size to the structure of corporations is being questioned, this classic should prove a valuable guide. 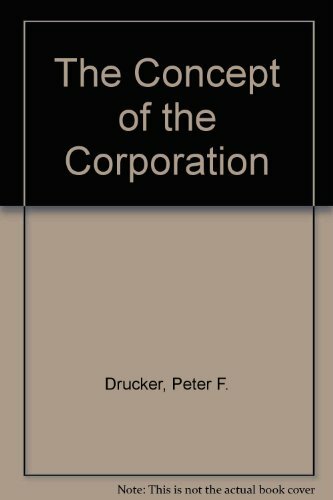 "Concept of the Corporation is a valuable text for anyone teaching business history (broadly defined) or the history of political economy. 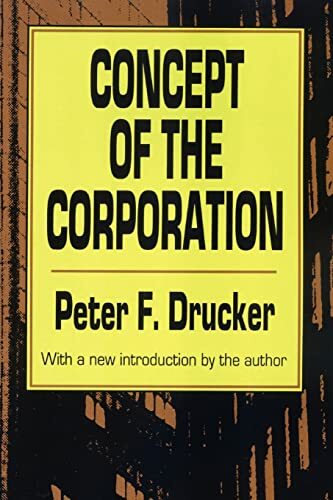 Drucker describes one of the most important American companies at the apex of its success and elucidates the context in which it operated: labor relations, politics, regulation, and even the impact of war. 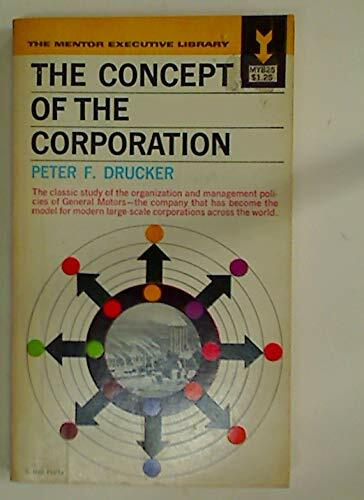 At the same time, Drucker is interested in the larger issues affecting company operations, and he discusses them in a clear, often original way, with an appealing mix of pragmatism and optimism."